NOTE* This case WILL NOT fit the any other LG models. 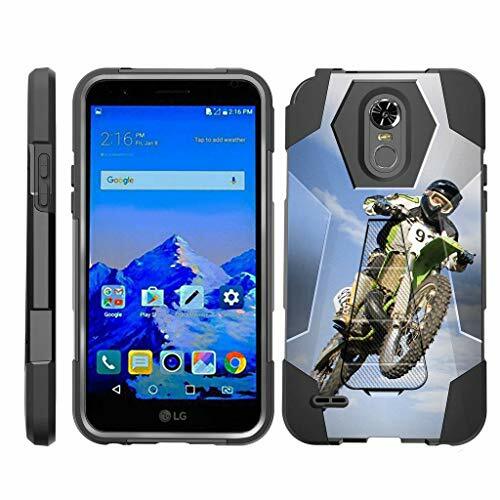 This Dynamic Shell kickstand case is made up of two layers; the outer casing is designed of polycarbonate to resist impact with a built-in kickstand, while the inner piece is designed of silicone skin gel to absorb shocks and impacts. The case itself will fit snug onto your cell phone device, while protecting all exposed parts of the device. The kickstand can be used for landscape or portrait view. Carry your cell phone device with you knowing that it is well protected with this product. This case is designed to offer you maximum quality protection for your expensive device by deflecting and/or absorbing most scratches, dings, and bumps. Precision and detail to cutouts will allow you full use of your phone's functionality without any interference. The Dynamic Shell kickstand case will offer your cell phone device maximum protection, while feeling safe in your palm. Protecting your device has never been this easier! + Dynamic Shell case with built in kickstand.